Following a weekend draw and further fan frustration, the Carabao Cup offers United a chance for a first home victory in over five weeks against a Derby side with a familiar face as manager. Once manager and player respectively, José Mourinho and Frank Lampard (who recently became a father again) will no doubt share some jokes on the touchline but the pair will take things seriously for the most part. The pressure is on the hosts to advance but the visitors are well in contention for the next round too. Setting up in a 4-2-3-1 formation, the Championship side have been exciting to watch so far this season but their habit of playing out from the back has been scrutinised at times – although Lampard claims he will not change that style. Scoring four and conceding zero in the preview two rounds of the Carabao Cup, Derby are away for a third successive time in this competition but lost at Old Trafford last season in the FA Cup. Centre back Richard Keogh leads the team as captain and experienced stopper Scott Carson is a always reliable these days. In the midfield, second division stalwarts Craig Bryson and Bradley Johnson provide creativity and industry in the middle of the park however Tom Huddlestone is also able to play in either role. Numerous youngsters have had chances in the team this campaign but Chelsea loanee Mason Mount has stood out the most with some scintillating displays. Producing four goals and one assist, his whopping 21 chances created in just nine appearances this year is an indicator of why Lampard predicted he will be playing for England sooner rather than later. United academy product Tom Lawrence (who replaced his current Wales manager Ryan Giggs in his final game for the reds) is usually a starter on the left of the attacking midfield trio but will miss the game due to suspension. Veteran striker David Nugent is expected to lead the line however Jack Marriott and Martyn Waghorn offer a focal point goal threat too but may all be isolated if Derby play with backs to the wall. A dismal draw on their return to Old Trafford will have knocked confidence in the squad but plenty of rotation is expected and therefore some fringe players have the chance to prove themselves. 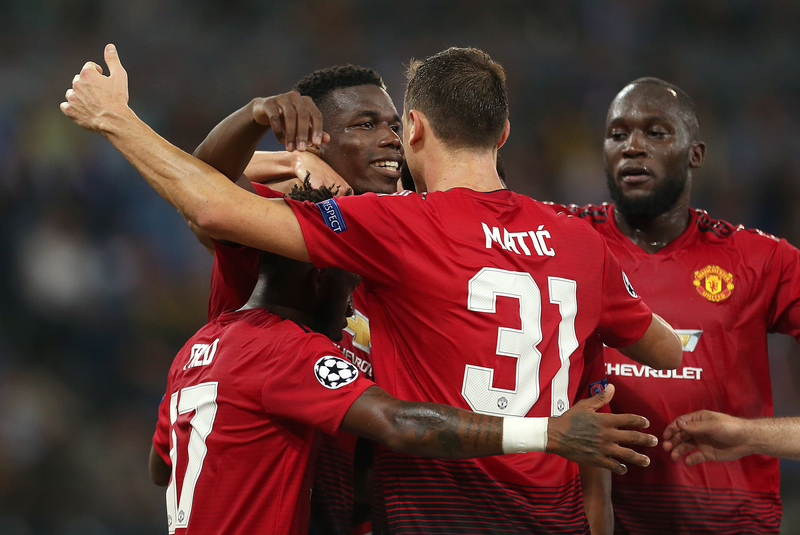 Paul Pogba criticised the style of play United adopt when at home which once again highlighted the rumoured fractured relationship that Mourinho and the player currently have. One of Lee Grant or Sergio Romero is expected to replace David De Gea between the sticks. Diogo Dalot will start the game following his superb debut last week. Both out-of-favour centre backs Eric Bailly and Phil Jones may replace either Victor Lindelöf or Chris Smalling in the heart of defence. Nemanja Matić is back from suspension and could return to the starting lineup as well as Ander Herrera after his recent ankle injury. Fred scored his first goal on Saturday but could be rested along with Marouane Fellaini for the likes of Scott McTominay and Andreas Pereira in midfield. The struggling Alexis Sánchez is becoming anonymous in most games so Anthony Martial is likely to be given a chance on the left wing.